BEIRUT (AP) — The U.S. military said it shot down an Iranian-made, armed drone in southern Syria on Tuesday, marking the third time this month that that the U.S. has downed aircraft affiliated with Syrian President Bashar Assad's government. The repeated incidents in the vicinity of the Tanf camp, where U.S. forces train and advise local ground forces in the fight against IS, add to soaring regional tensions that could spiral out of control just as the fight against the extremists enters a crucial phase, with U.S.-backed forces pushing into the group's de facto capital, the Syrian city of Raqqa. A defense official, who was not authorized to be quoted by name and spoke on condition of anonymity, said the drone shot down Tuesday was a Shaheed 129 and appeared to have been operated by "pro-regime" forces. In another first, Iran — another close Assad ally — fired ballistic missiles at IS targets in eastern Syria, in the province of Deir el-Zour, later on Sunday. 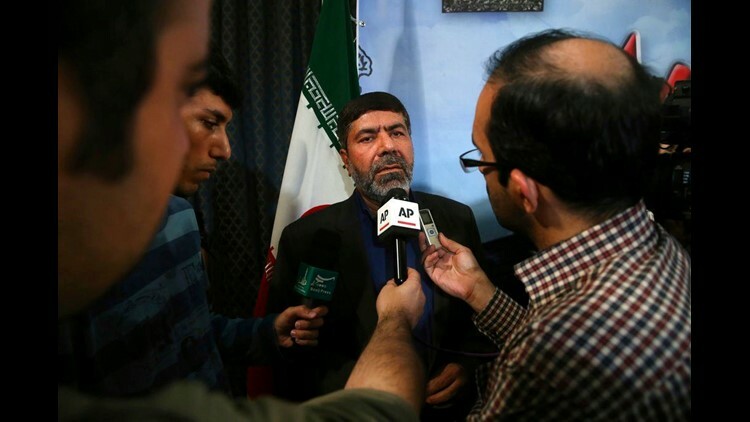 Iran's Revolutionary Guard described the strike as revenge for Islamic State attacks on Tehran earlier this month that killed at least 18 people and wounded more than 50. Sharif told The Associated Press that the missile launch reflected Iran's "military power," though Iran has no intention of starting another war. It is still unclear what the missiles struck, and Iran has provided few details. The U.S. military meanwhile confirmed Tuesday that top IS cleric Turki al-Binali was killed in a coalition airstrike on May 31, in Mayadeen, Syria. The Bahraini cleric wrote religious justifications for the enslavement of hundreds of women from Iraq's Yazidi minority and helped establish the IS branch in Libya. Activists and IS supporters reported his death at the time but Tuesday's statement from Central Command was the first U.S. confirmation. Daraa is where the March 2011 uprising against the Assad family's four-decade rule began. The conflict quickly descended into a civil war, which has since left at least 400,000 people dead. The push by Syrian government forces in the Daraa area appears headed for the Jordanian border, two weeks after Assad's troops reached the border with Iraq for the first time in years.